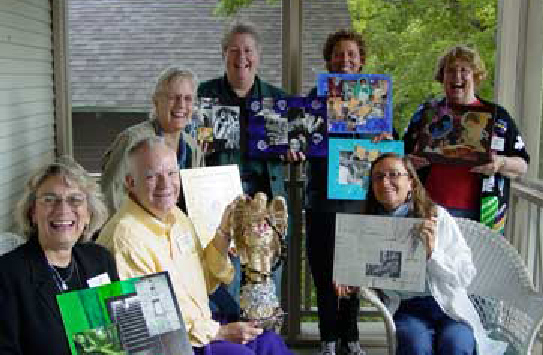 n January of 2003 we launched a new international study titled “Nurses Perceptions of Practicing Nursing: International Perspectives.” Groups of nurses met to explore what it is like to practice nursing, and what changes are needed to practice nursing as they wish to practice. The group summaries to date were reviewed at the Nurse Manifest gathering in Boulder, Colorado on June 5, 2003. The purposes of this study are to 1) explore nurses’ perceptions of the circumstances of their work life from many different national and international regions, and 2) describe changes nurses envision that would nurture their ability to practice nursing as they wish to practice. While there are studies that address organizational cultures and nurse job satisfaction, the predominant focus in the literature reflects a primary concern for institutional (largely economic) interests in retaining nurses, improving patient satisfaction (and in turn increasing revenue), and reducing costly negative situations such as errors, absenteeism, etc. There are no reports of studies that focus primarily on the interests of nurses themselves. The design of this study is an emancipatory design with the aim of discovering that which is not yet known in order to transform the conditions of the status quo. Nurses worldwide will be invited through several different nursing web sites and word of mouth to conduct focus groups in their local communities. A guideline for the groups will be provided to all interested nurses. Each group will meet up to 3 times to address the questions: What is it like to practice nursing today? What changes do you envision that would nurture your ability to practice nursing as you wish to practice? The guidelines for the groups suggest using codifications — drawings, photographs, poems, and other representations, that make abstract conditions of nurses’ experiences concrete. The group guidelines provide suggestions for the groups to develop themes that represent their work situations, and to explore actions that would be required to change the status quo. Each group leader will send a consensus summary to the researcher. The only identifying information that will be retained with the consensus summary will be the country in which the group was located. 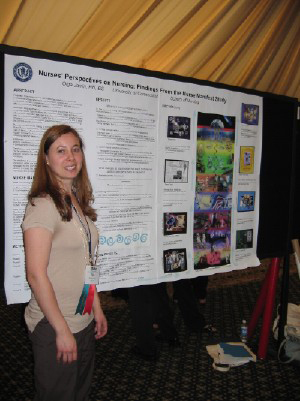 An international gathering of Nurse Manifest participants will be held on June 5, 2003 in Boulder, Colorado to compose a global analysis of the results that have been submitted for the project. The expected outcomes of the emancipatory process in the groups is the emergence of new perception, the development of new knowledge and awareness, which in turn lead to action to change the circumstances of one’s situation. The analysis that will emerge from the data of the study will include an explicit description of conditions in many different locations, and the processes that are envisioned to lead to action and change. While the results of this study are not intended to be generalizable to all nurses, the insights that will emerge from the study will provide additional evidence of nurses’ perceptions of the conditions of their work, and the changes that are needed to make possible the best of nursing care. Jarrin, O. F. (2006). “Results from the Nurse Manifest 2003 study: nurses’ perspectives on nursing.” ANS. Advances In Nursing Science 29(2): E74-E85. The purpose of this article is to raise awareness, inspire action, and open dialogue about professional values and workplace conditions. Results of the Nurse Manifest 2003 Study are presented through meta-synthesis of group summaries answering the questions: What is it like to practice nursing? and, What changes do nurses desire to support practice? The results illuminate the underlying framework of professional values that splits our profession, nursing units, and educational institutions. An analysis of the similarities and differences within and between groups reflect values which are rooted in the history of our profession and affected by present working conditions.